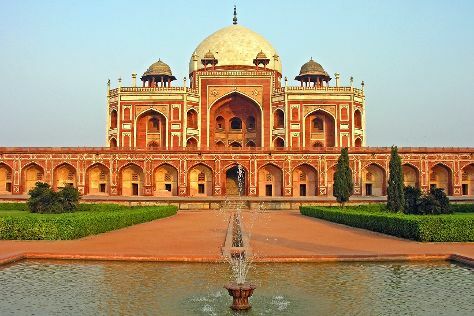 Start off your visit on the 7th (Mon): admire the striking features of Rashtrapati Bhavan, take in panoramic vistas at Qutub Minar, then take in nature's colorful creations at Humayun's Tomb, and finally steep yourself in history at India Gate. If you are flying in from United States, the closest major airport is Indira Gandhi International Airport. In May, daytime highs in New Delhi are 104°F, while nighttime lows are 78°F. Cap off your sightseeing on the 7th (Mon) early enough to travel back home.